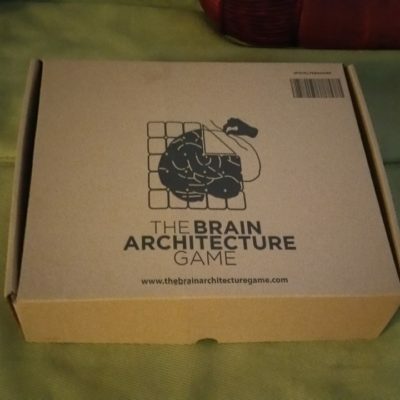 DIY Game moderator Nadia Gronkowski recently documented how she has used The Brain Architecture Game to improve her organizational mission. Nadia’s background is in early childhood education, environmental education, and environmental policy. She is the Social Innovation Program Coordinator for Innovate Springfield in Springfield, Illinois. Her organization is implementing a locally-written report — the Sangamon Success Report — which recommends that we teach more adults in our community about executive functions and children’s brain development. 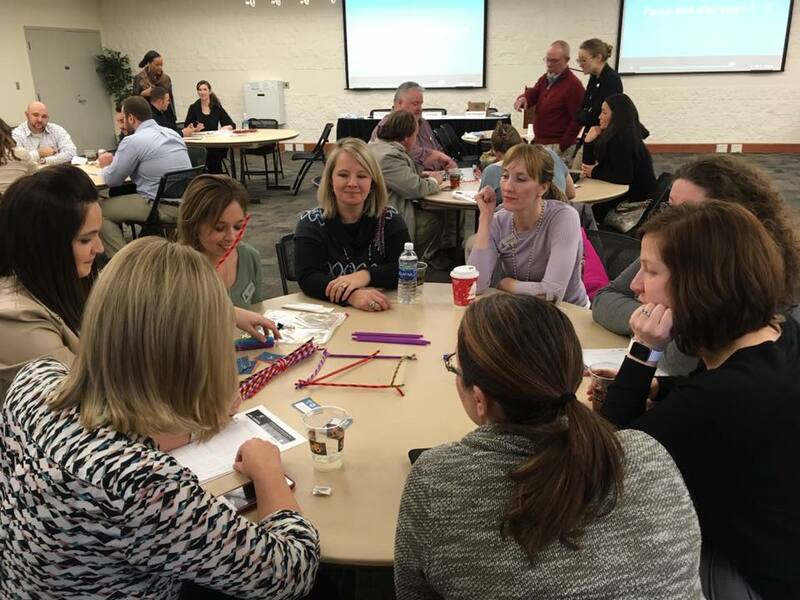 The organization taught a group of 45 adults about childhood brain development. 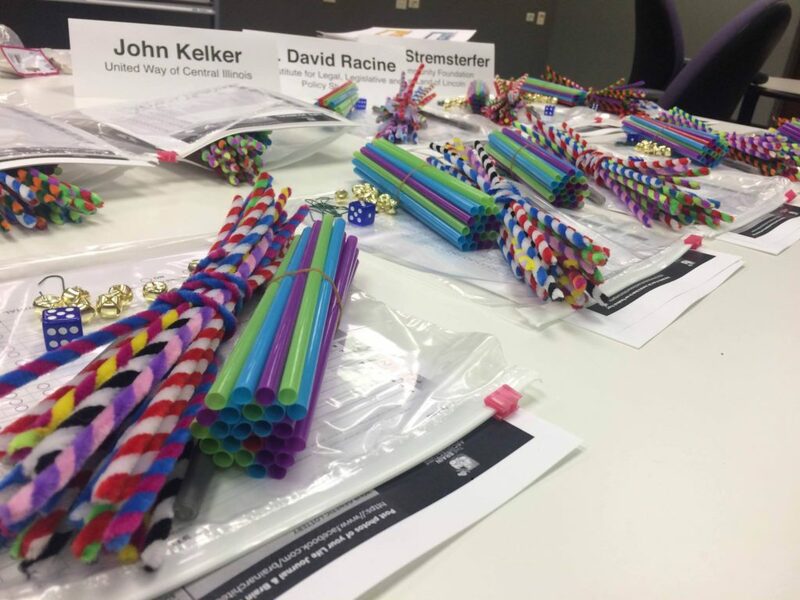 The class was for emerging leaders in their community, and each of their sessions has a different theme. The game was presented on Education Day. As the groups were finishing up, a couple of groups that were finished took all of the weights that were left over and put them on their brain structure. When it still didn’t topple, they started taking other objects — water bottles, iPhones, etc — and placing those on the brains too. It wasn’t part of the game, but it was still entertaining for them to test the strength of their structures in additional ways. We had another group whose brain really didn’t look like it was going to make it, but in the end it didn’t topple over. They had a very strong sense of relief when they finished the game with their oddly-shaped brain still standing tall. Overall, I think the most interesting thing to see is the story that groups start to weave about their brain as they draw cards throughout the game. Without any prompting from me, they started to connect the life experience cards in a narrative as though they’re telling the story of a real person’s life. We even had one group name the child that their brain belonged to. 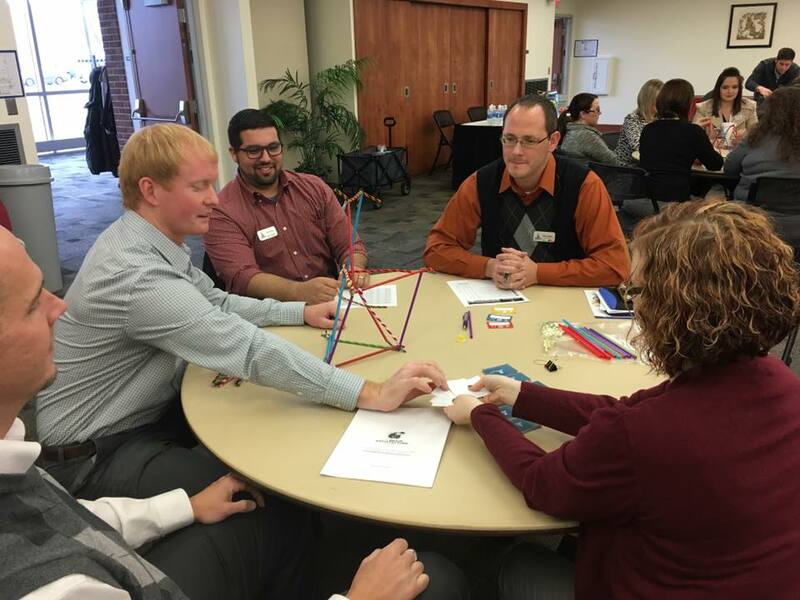 On behalf of The Brain Architecture Game team, thank you Nadia and Innovate Springfield for your dedication to child development! P.S. If you are an existing game moderator and would like to contribute your feedback for a case study and/or for quality improvement, we will give you 10% off your next purchase.